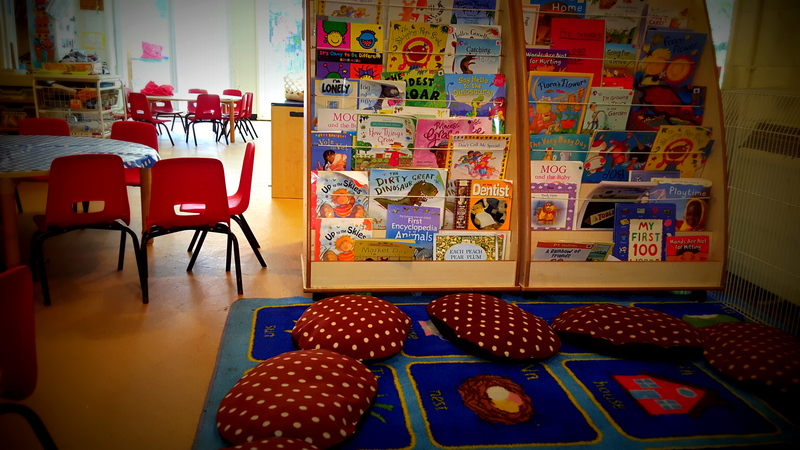 Our rooms are big, bright and full of age related resources to support and challenge your child! Our staff babble, sing, mirror expressions and talk to the children enabling a language rich environment - studies show that the more words a baby hears at an early age the more words they will speak when their language develops. Staff also know simple sign language (think 'Mr Tumble') which promotes communication. We do lots of art and crafts, mark making, singing and outside play too! Your child, as well having an interactive learning journey, will have a communication book which we update every session so you know what your child has been up to! We are happy to include any information you require (sometimes it can be difficult to talk to the key person at drop off / pick up if in a hurry!). 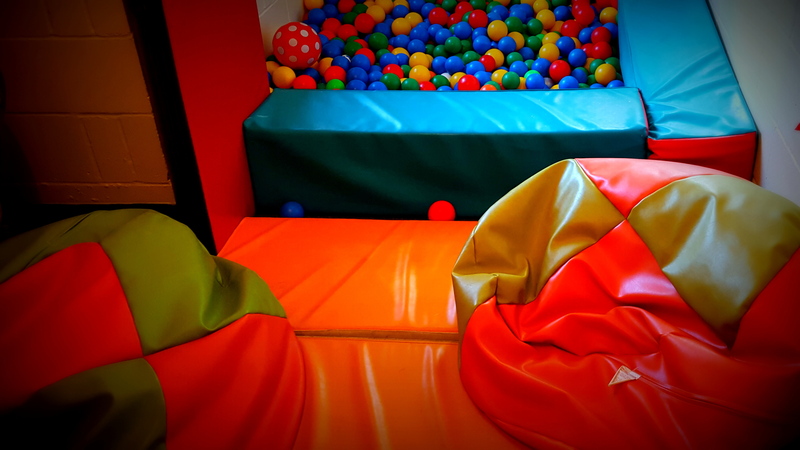 We are sure your child will love playing in the caterpillar room! 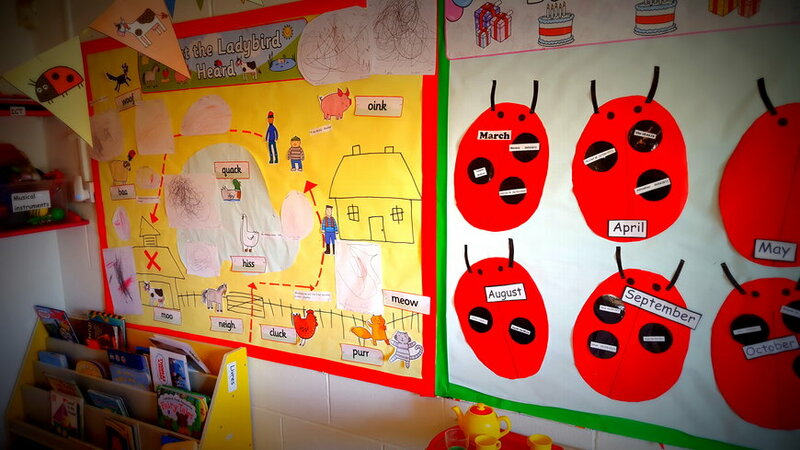 Our Ladybird room is again bright and spacious, located on the ground floor with its own outside free flow area. 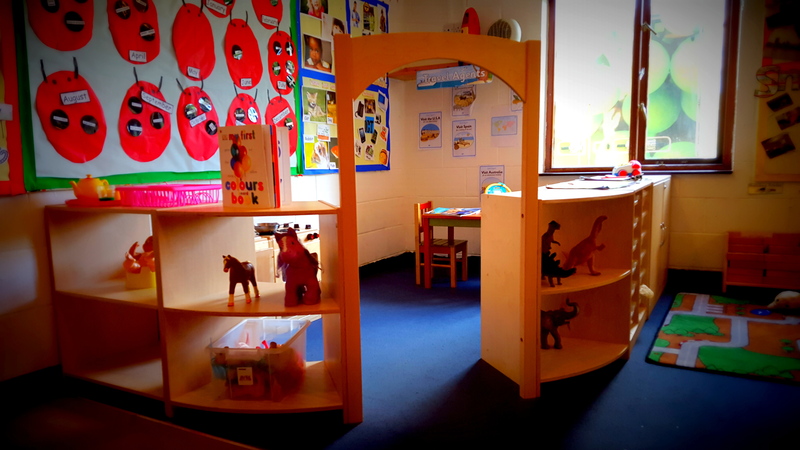 As with our Caterpillar room resources can be easily chosen by the children allowing them to direct their own play and continue to develop their independence. 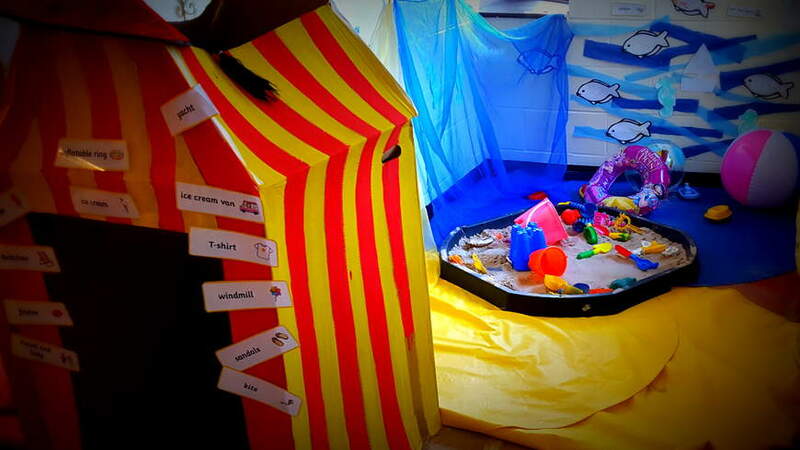 The role play area can be a kitchen, play picnic area, even a travel agents (complete with airport scanner!). 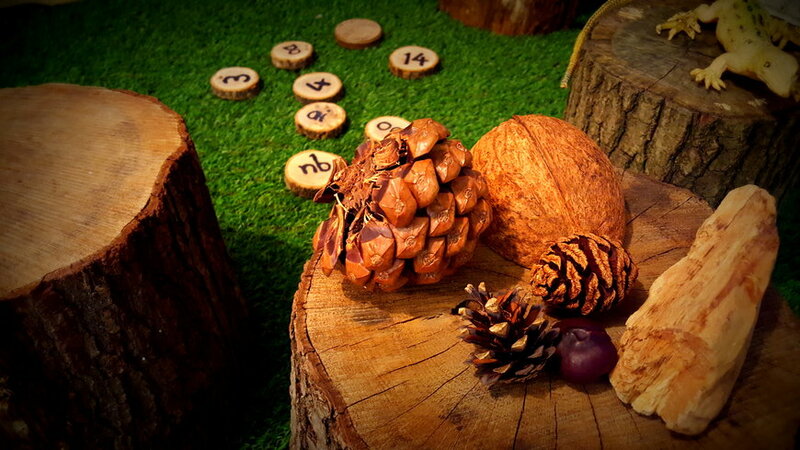 Themes allow staff to create interesting resources which encourage personal and social development, physical development, literacy and maths - all whilst the children are playing! Group times engage children in stories and song and mealtimes are a social event where independence is nurtured by letting children pour their own drinks and tidy their own plates. 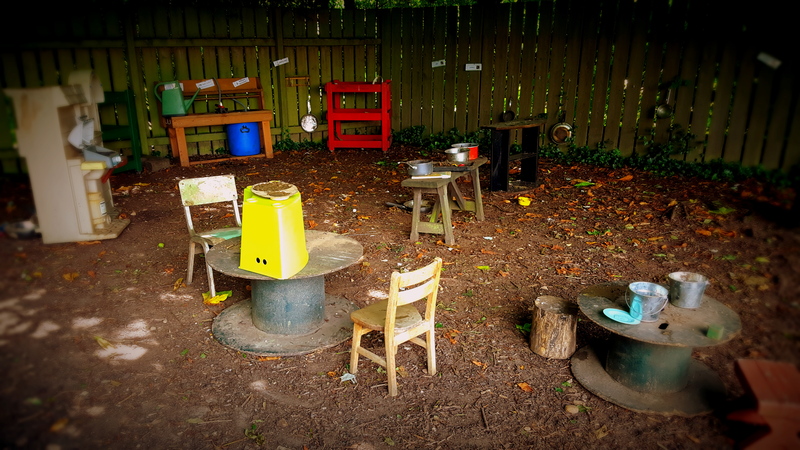 Children of course have access to the main garden, a wonderful resource in itself - the mud kitchen is great for mark making, counting and socialising as is the wooden caravan - is it an ice cream parlour? Palace? Superhero base?..! 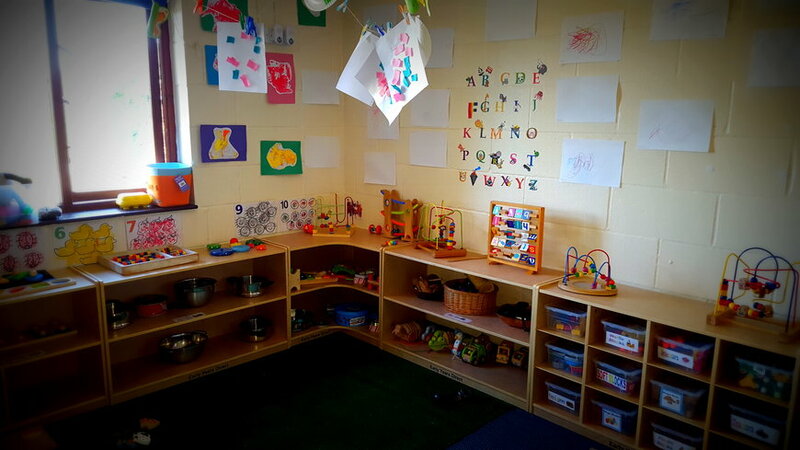 There is also an art and craft area, a nature corner, book corner and maths area and mark making materials are accessible throughout the room. Again we aim to create a language rich environment using open ended questions to promote problem solving and individualism - "How do we make this bridge higher?" "What happens if..?" etc. - the children will love developing their independence and character through play! 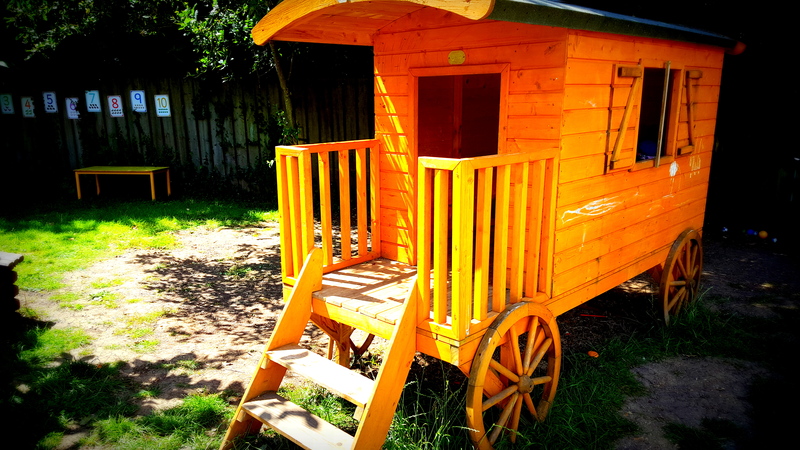 Bumblebees is our Pre-School room where we prepare the children for their next big adventure - BIG SCHOOL! In the Bumblebee Room the emphasis is still learning through play although we do prepare more structured activities (based on the children's interests) - we learn simple maths, mark making and letters, and phonics that are appropriate for the children's age. As with our other rooms resources can be self selected by the children and staff either join in play, subtly direct play for a learning objective or stand back and observe the play for future planned activities. 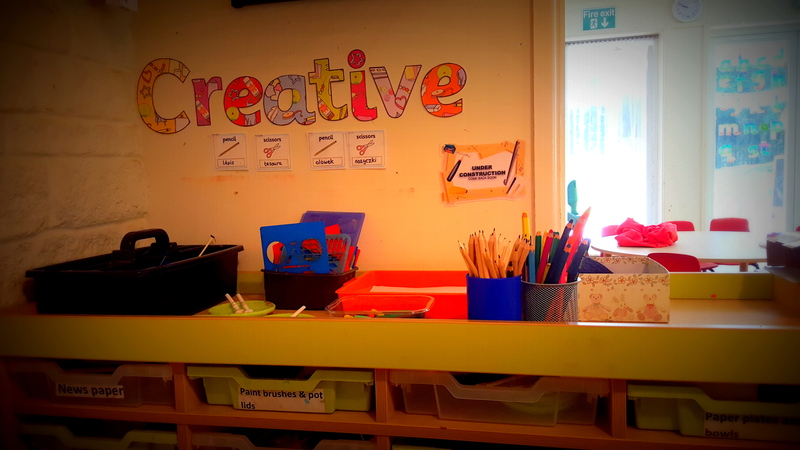 We have a role play area and home corner, large book area, art and junk modelling area, maths and nature zones and as in all rooms mark making materials are available throughout to encourage literacy. Children learn to be independent, confident, socially adept and individual and by the end of their time as a Bumblebee children should be well prepared for school! The Bumblebees also perform in our annual Nativity Play which keeps going from strength to strength every year! Our expansive garden is another 'room', albeit one without a roof. 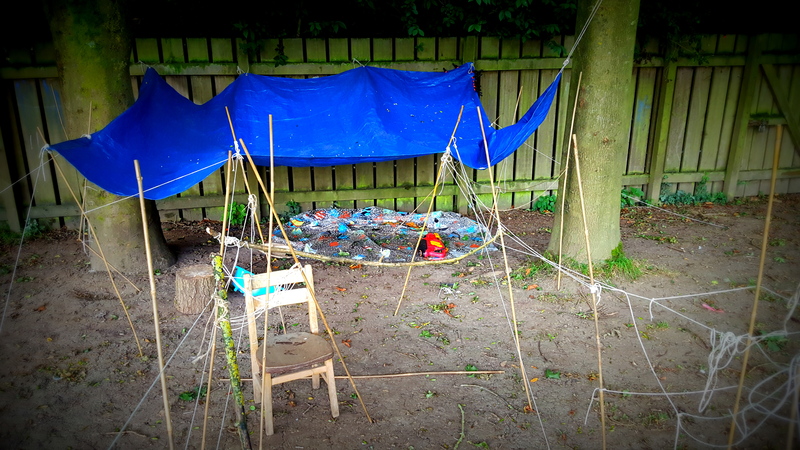 All areas of learning are planned for outside as well as inside. 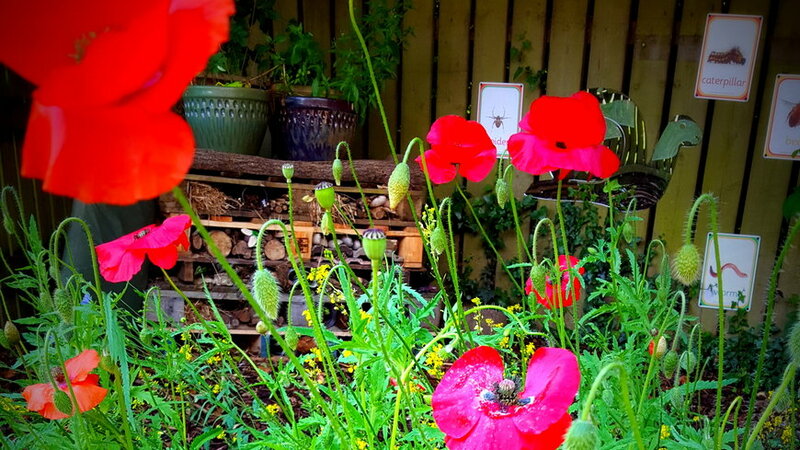 Our garden boasts a large mud kitchen, wooden caravan, nature garden, bug hotel, sound wall, cause and effect pipes, allotment beds, trim trail, home corner, art area and book corner. 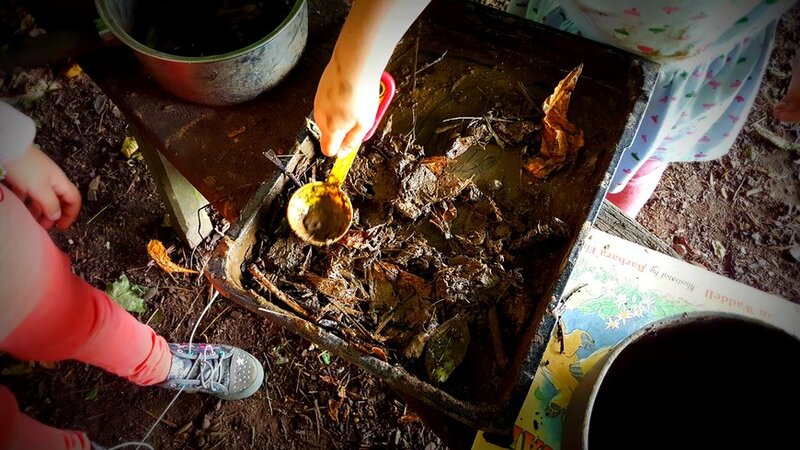 Again mark making is available in all areas of the garden - shopping lists in the home corner, menu boards in the mud kitchen, chalkboard daisies on the fence... Every area can be turned into a learning opportunity - it's up to the imagination of the children and staff! The children play outside every day so remember to bring appropriate clothing!